The consistency of sitting with Dad every Saturday morning and receiving their allowance began to embed into their very young minds financial truth. Just as I am teaching my children I have included below the five simple principles I also encourage you to teach your children. Show them God has created everything in this world and they must look to him as the source for all their needs. Helping them to understand submitting to his authority in the area of money allows them to live a life of peace within their heart and mind. Teach them as a manager or steward it is their responsibility to submit to the owner as they will be accountable for their efforts. With time they will understand he wants them to become a conduit so he can utilize all of his resources through them. The simple principle of tithing 10% first, saving 10% second, and living within the remaining eighty percent should be the starting line. As your children begin to grasp this concept encourage them to increase the tithe and savings as their faith, knowledge, and self -discipline increases. 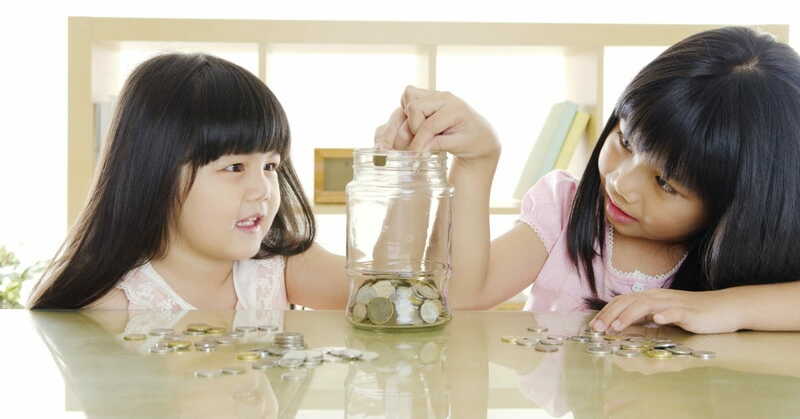 Help them by encouraging them to imagine themselves as a money-machine they will deposit money into on a weekly basis. They need to understand for the rest of their life they will earn money for services provided. As an adult the average person will earn over one million dollars in their lifetime. Therefore, understanding the tithe, save, and spend principle will help them understand the management of money is as important as the earning capacity. Show them how their money can make money for them as they understand the principle of simple and compound interest. The more their money makes the less they have to deposit into their money machine. It has been a joy to see my two daughters slowly mature over the past few years in the area of finances. Trips to the toy store have provided the perfect classroom for their young minds to grow in wisdom on choices, payments, and delayed gratification. It is also a learning experience when they see their family make tough financial choices as they see how by faith and discipline the family will make necessary adjustments using strong principles. Communication during these moments helps them to understand the importance of the necessary changes and the positive impact it will have for the family’s finances. “Start children off on the way they should go, and even when they are old they will not run from it” (>Proverbs 22: 6 NIV). When you teach your children to walk out with intention financial responsibility you are literally giving them a gift that will keep on giving. As you model this example in front of them you are creating a lasting financial legacy. God will honor your faithfulness and obedience and you will see fruit harvested for multiple generations. Is it Okay for Christians to Use Medical Marijuana? What Does it Mean to Be a Lukewarm Christian?